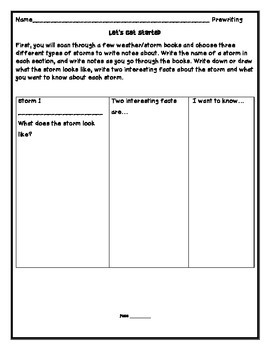 Students will complete a prewriting graphic organizer to determine which storm they would like to research. 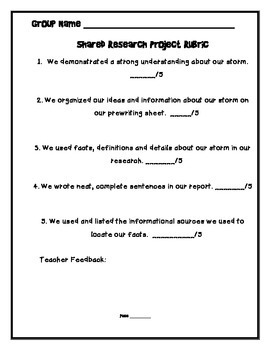 Students will work with partner or group to do a rough draft of research. Then groups will publish on a final copy. 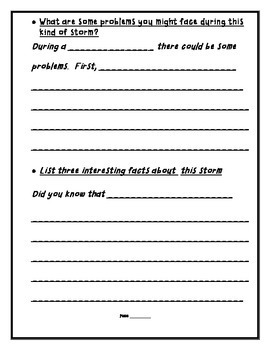 Students will find facts about storm of their choice. Table on contents source pages are included. On the last page, there is also group rubic. 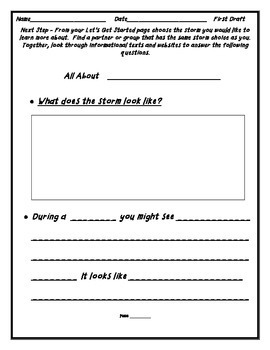 Ideas- Use this information to publish with technology. We made imovies with our final copy.